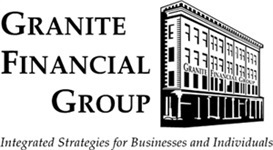 For over three decades, the associates of Granite Financial Group have worked to help employers and plan sponsors offer cost-effective plans that run efficiently and address their evolving needs. With over 50 years of combined experience in retirement plan consulting, we believe our team has the tools and knowledge to make your plan more responsive to the interests of your company and employees. Our service philosophy is to guide you in assessing, analyzing and addressing the specific needs of your plan to maximize its value to your organization. We have the ability to advise you at both the plan level as well as provide advice to your participants. Our ability to join you as an investment co-fiduciary to your plan places us in a position to be held to the fiduciary standard under ERISA. Our consultative approach to your retirement plan’s needs has several simultaneous goals. We seek to align your plan’s objectives with suitable providers whose capabilities and strengths reflect your unique needs. If needed, we identify and recommend new potential providers based on your plan’s complete profile of objectives, challenges and requirements. Our team then obtains specific proposals for your retirement plan from appropriate qualified vendors. Our services are available in both a fee-for-service format and total retirement plan service format. We assist you by helping coordinate all aspects of your new retirement plan’s conversion and installation. We focus on the critical areas of investments, fiduciary responsibilities and employee education. · To enhance the suitability of your retirement plan’s investment menu. · To help you identify and monitor the fiduciary requirements that affect your plan. · To optimize employee satisfaction, participation and education. After conversion and installation, we continue to help you maintain the effectiveness of your retirement plan. We monitor your satisfaction with the plan and make adjustments as necessary. Give us a call to arrange a free consultation that will include a no obligation assessment review and benchmark comparison of your plan.